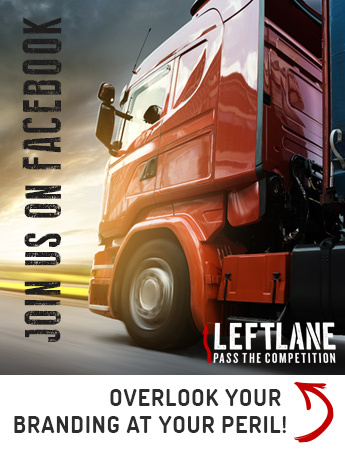 Branding & Design is Often Overlooked by the Trucking Industry But Overlook It At Your Peril! You never get a second chance to make a first impression and if it’s one thing the Canadian trucking industry is shamefully guilty of is overlooking their branding and design. Not making sure your company logo, graphics and branding are on point can cost your company lots in the short, medium & long run! Just because you’ve overlooked your branding doesn’t mean your potential clients (or buyers) will and to be a pro you have to look the part. Some of our main services would fall into the following categories but ultimately if you want design – in any medium or format – that is clean, professional and lasting we can help you! “Why should I care about a logo?” – I hear you ask but without having a professional and memorable logo your company will be hamstrung from the get go! All of us have a built in BS-detector (even if we don’t know it!) and if we see a logo that doesn’t look sharp or professional it negatively skews how we view that company or business, which in turn impacts sales, revenue and profitability and here at Left Lane Associates we don’t want that. LLA work with a talented designer who provides our clients with professional, clean logos which in turn helps us to maximize the bottom line for our clients. We don’t care about logos for the sake of caring about them, we care about them because they impact your bottom line and when you work with us we’ll make sure your logo design is on point! The starting point for all company branding is the logo as it is usually the natural genesis for all things branding related. As such it is crucial that your logo is up to scratch but once it is all branding can flow from it. Branding is the glue that holds all of your different marketing and advertising ideas together and across all platforms you should have a consistent look and feel. This consistency helps create the idea of a brand behind your company which then sculpts how people view it. Craft a positive view through consistent branding and you’ll reap the rewards. When working with LLA we’ll make sure your print material, your stationery, business cards, fleet, social media channels, etc are properly branded to ensure you get top dollar for your business.